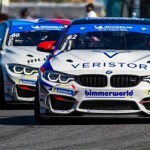 BimmerWorld’s season-opening race at Daytona International Speedway last weekend – the team’s third year in the GRAND-AM Continental Tire Sports Car Challenge Series—had a familiar ring to it. Back in 2010 when the Virginia-based BMW experts entered GRAND-AM’s Street Tuner class with a pair of BMW 328is, the team ran inside the top 10 and scored a podium on its Daytona debut. With the expansion to three ST cars for 2012, the same was true as the No. 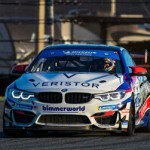 81 BimmerWorld BMW of veteran Gregory Liefooghe and rookie David Levine placed third, and the No. 80 of team owner James Clay and star sophomore John Capestro-Dubets took eighth at the BMW Performance 200. The third car in BimmerWorld’s fleet, the No. 82 CRC BRAKLEEN® BMW 328i driven by race winner Seth Thomas and the experienced Dan Rogers, was on pace to join the No. 80 and 81 in the top 10 until a hard hit by a competitor forced them to the pits for lengthy repairs. Although the incident that befell the No. 82 CRC BRAKLEEN® entry left plenty of points on the table, Clay came away from the wet/dry Round 1 race feeling positive about what the team can achieve across the entire 10-race championship. 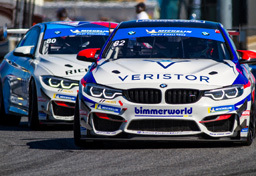 As the top finishers for BimmerWorld, Liefooghe and Levine got a chance to lead the race and to engage in a thrilling drafting battle on the high-banked portion of the blended oval and road course circuit, with Liefooghe, who drove the final stint, settling for third in the No. 81 after leading with one lap to go. “The race went well for us and we can never complain about being on the podium,” he said. “It’s a great way to rack up points for the championship. Daytona has always been a drafting track and I was expecting to have a lot of action, but the numerous full course cautions and traffic did not play in our favor. On the last restart, I made sure to create a gap, and I managed to get out reach for the Kia and the Mazda to get in my draft, only to have a GS car slow me down and make me vulnerable. That’s when my competitors passed me in a two-car draft like a NASCAR restrictor plate race. For Levine, standing on the podium in his pro racing debut was just one of many highlights during the event. Capestro-Dubets was originally scheduled to switch to the role of closing driver this season, but a setback just before the Daytona race meant he will have to wait until Round 2 to take the reins from Clay. With Clay closing out the race in the No. 80, he and “JCD” got their championship aspirations off to a proper start by placing inside the top 10. “Coming to Daytona this year was a heart break for me because of an injury that happened only days before leaving that would keep me from closing,” said JCD. “I have been preparing and waiting patiently for my chance to show my abilities as a closing driver, and with this injury keeping me from that, the drive from within to put the No. 80 on top grows and grows. Finishing 31st in class was hardly a just reward for Thomas and Rogers in the No. 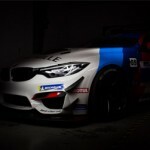 82 CRC BRAKLEEN® BMW 328i, but the longstanding BimmerWorld driver felt the team as a whole gave him every reason to feel 2012 will be a good year for the entire program. For Rogers, the sting of missing out on a top finish soured what should have been a strong debut with BimmerWorld. 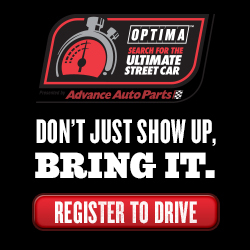 Watch the BMW Performance 200 this Saturday, February 4th, at 12 p.m. 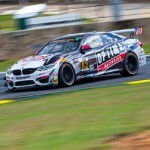 ET on SPEED, and follow the team’s progress at www.BimmerWorldRacing.com as they prepare for the next race on March 30th at Barber Motorsports Park.